Select the "Submit Issue" button. 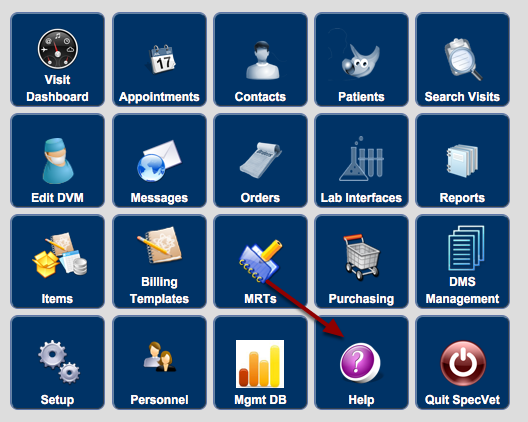 This will bring you to the SpecVet Manager support window. 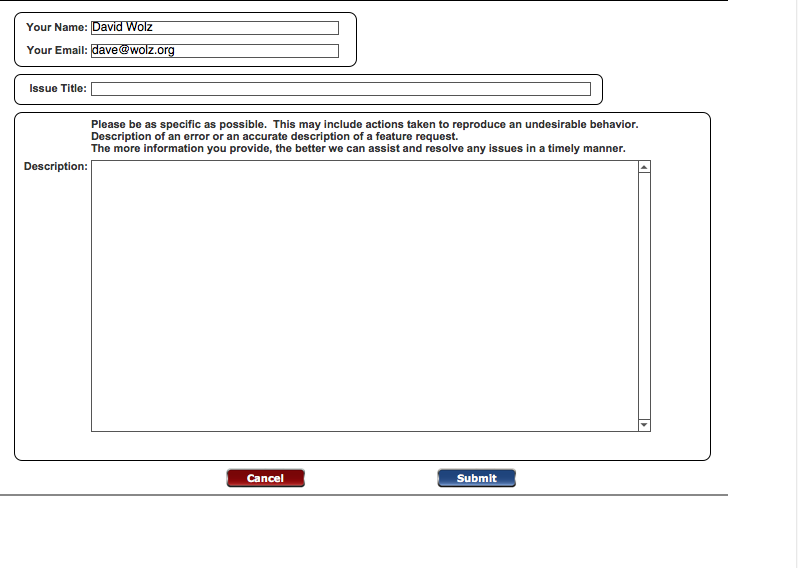 Enter your information in as much detail as possible and select the BLUE "Submit" button at the bottom of the the page. 2. You may also contact us at support@specvet.com. 3. Or, call us at 877-499-SPEC (7732) and select option 2 for Support.